HCNP-Storage-CCSN V4.0 has been released, that may mean all the HCNP-Storage exam questions would be changed. Please do not worry, Killtest has updated the latest Huawei HCNP-Storage Certification H13-621 and H13-623 exam questions today(Jan.23, 2018). All the questions and answers will be completed in one week. Killtest ensure you pass your Huawei H13-621-ENU and H13-623-ENU exams smoothly. What is HCNP-Storage Certification Summary? Killtest noticed that many candidates want to know the certification summary. Actually, you can search the details from Huawei official site, but for convenience, Killtest collected for you here, HCNP-Storage is an IT convergence certification, is positioned to construct capabilities of storage professional engineers and validate the knowledge and skills required for product technologies, plan and design, operation and maintenance, troubleshooting of Huawei Storage products. 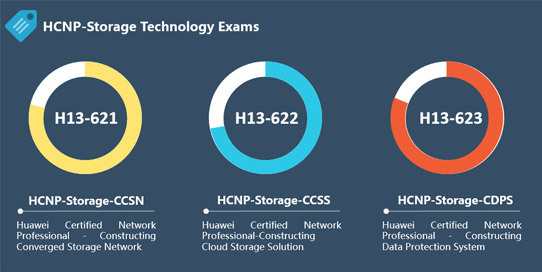 How many exams should be taken for Huawei HCNP-Storage Certification? Please note, if you want to get your HCNP-Storage certification, you will be required to answer three exams, Huawei H13-621, H13-622 and H13-623 exams. That's why Killtest is so professional to update Huawei H13-621-ENU exam questions and H13-623-ENU practice exam for you on time.